Because buying gifts is the most time-consuming and most difficult part of the holiday season, I thought I’d suggest some ideas for preparing and completing your list. Here are some ways to think about your holiday gifts, as inspired by the Toronto Gift Fair. 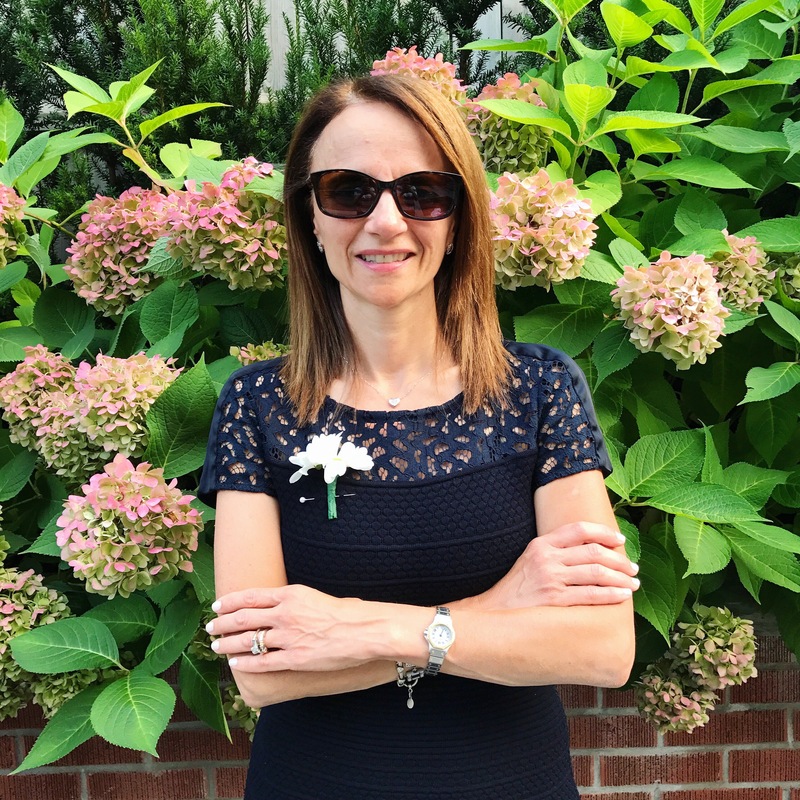 The story behind this post goes back to a warm day in August when I had the pleasure of attending the Toronto Gift Fair as a member of the media. It was my first time at the fair, although I’ve been to many craft shows and markets as an end consumer. The Toronto Gift Fair is at a completely different level. For one, it’s a wholesale market, so it’s geared towards helping shop owners curate the collection of gifts they’ll sell in their stores. I can only imagine how hard that must be given the variety of merchandise and levels of innovation displayed at the fair! Secondly, this fair is serious business. The vendors and salespeople are extremely knowledgeable and eager to show you how their products are different. They get quite technical with any questions you ask. And, thirdly, the Toronto Gift Fair is a hub for all things new in the retail world. As I walked through the fair, I was mentally placing the products I saw into categories. It’s too bad I couldn’t do all of my Christmas or birthday shopping on this day because it would’ve been easy to check things off of my list! If you’re like me, gift-giving can be quite stressful because you want to find a thoughtful gift that you hope the receiver will appreciate. What I learned, though, is that there are many ways to think about gifts. 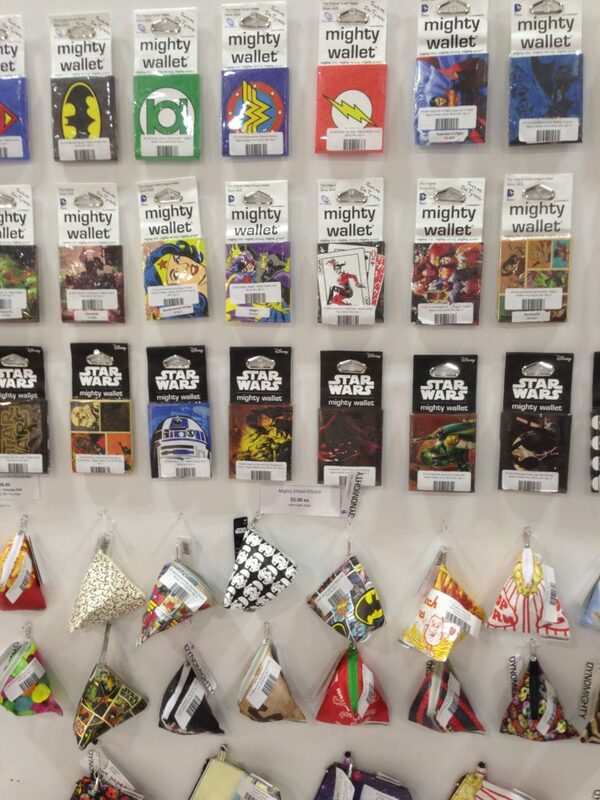 Here are the 7 ideas or categories I noticed, walking around the Toronto Gift Fair. I hope you’ll find this method useful when it comes to completing your own holiday shopping list! Each season has its own colors, needs, and themes that present the perfect opportunity for choosing gifts. Halloween and Thanksgiving, Easter and seasonal holidays – these all have their natural themes, decor, and food items that make gift giving easy, especially if the recipient loves to celebrate holidays in general. Summertime? Choose the newest in patio accessories and outdoor dishes. Christmas time? 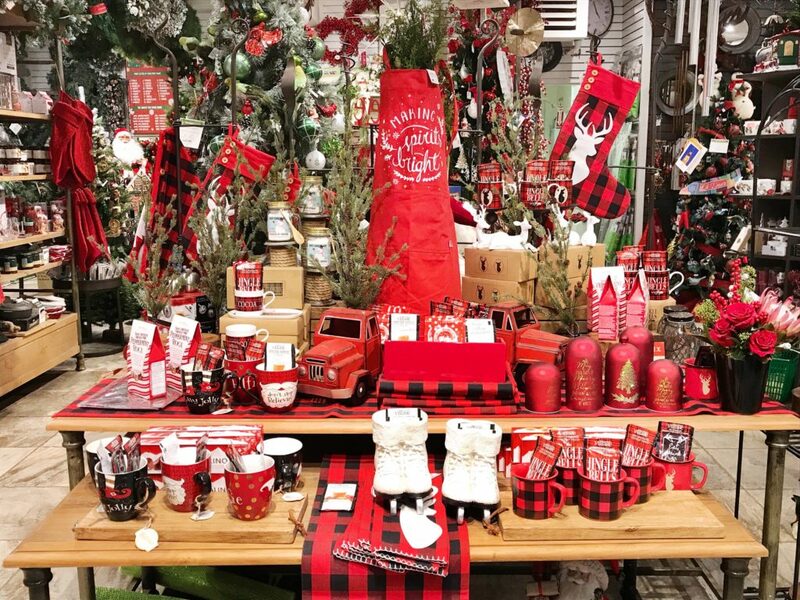 It’s probably the easiest time to find seasonal, original, fun, and holiday-themed home decor, clothing, and treats. This category is my favorite, and probably the most ‘catch-all’ of categories, and includes the latest books, trends, and movements. 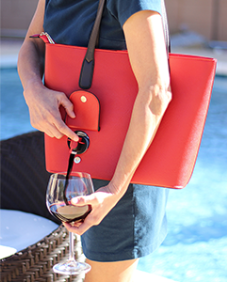 These are often the easiest gifts to pick out, because there’s a chance the recipient doesn’t have the most recent cookbook from his/her favorite chef, or the latest kitchen gadget, or the coolest bag that comes complete with a wine dispenser like Bella Vita’s wine bag! Most of your go-to stores will proudly display the latest and greatest items prominently in store. And, most suppliers will save their best products for a holiday debut date. At the Toronto Gift Fair, I saw quite a few items and booths focused on ‘homesteading’, or being self-sufficient, in terms of making what one needs ‘from scratch’. You’re probably seeing a few products geared towards this trend. 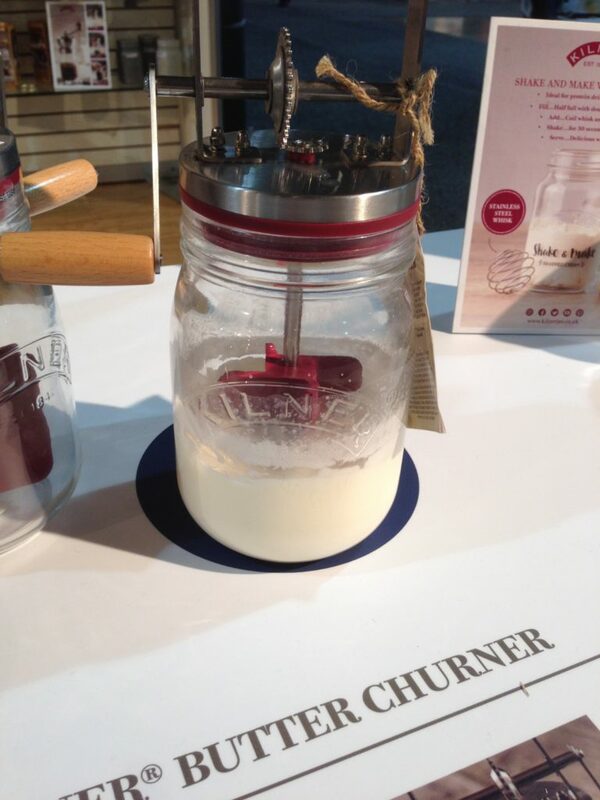 Kilner jars, for churning your own butter or pickling your own vegetables, have been around for a long time, but are growing in popularity. Two of my favorite brands, KitchenAid and Tweezerman, have innovations out this year that are perfect for that person on your list who appreciates the latest. The Artisan Mini Kitchen Aid mixer looked so compact and perfect for smaller kitchens and condos. And, Tweezerman has come out with a rose gold mirror and tweezer set that is perfect as a stocking stuffer, or for that person who has everything. 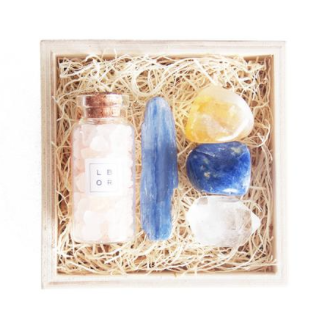 And, there’s a Canadian online company called Little Box of Rocks that offers a boxed set of gemstones, specifically meant for weddings, well wishes, birthdays, etc. This gift is meant to last longer than flowers and comes with special messaging depending on the box you choose. While walking around the Toronto Gift Fair, I was impressed with the number of booths that offered mass customization. This ranged from monogramming children’s items to customizing ordinary items like winter hats. In particular, Lindo F, a fur accessories company, had thick, beautifully knit, 100% wool toques with racoon, fur, or coyote pompoms. 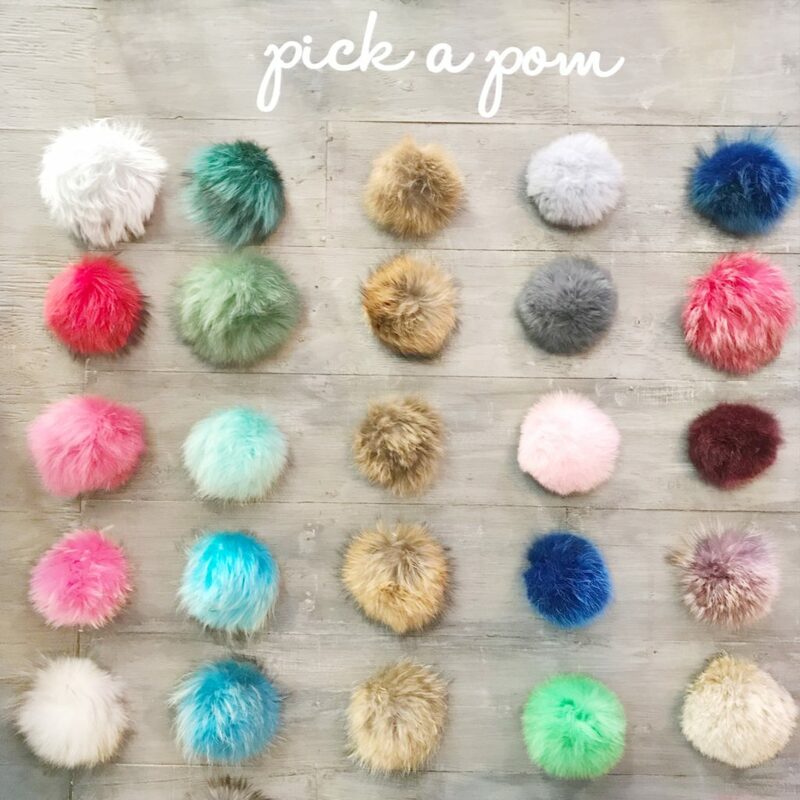 These hats come in many colors and knits and are topped with a snap-on pompom, also customizable in any color you want. How unique is that? I would’ve purchased this hat for everyone on my list and been done with my holiday shopping in one visit! BTW, I wasn’t the only one impressed with Lindo F’s booth: they won the ‘Best Small Booth’ award at the fair! I noticed that environmentally friendly products were a highlight of the show. 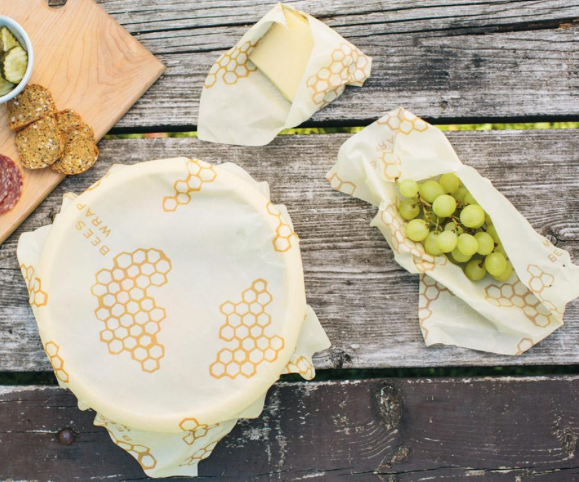 Take the Bee’s Wrap products, made from resin sheets covered with bees’ wax. They are rinsable and act like reusable plastic wrap. I thought these were pretty cool sandwich wrappers for child and adult lunches. There are also lots of companies making useful, everyday products that are now BPA-free, like the CoverBlubber by fusionbrands. How handy is this food covering for partially cut fruits like watermelon or pineapple? I don’t know about you, but Canadian-inspired (or patriotic) gifts are so much fun to pick out and to give. Think mugs, sweatwear, notebooks, plates, water bottles, socks, etc. 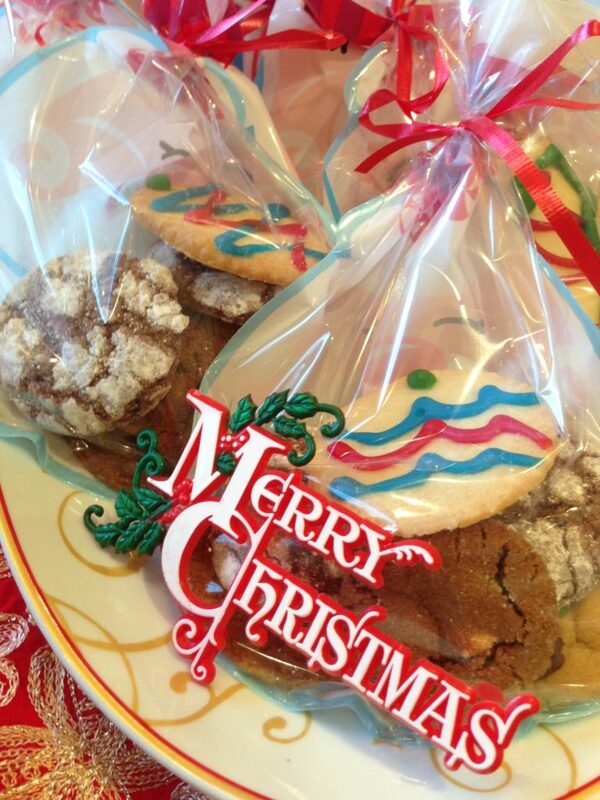 I loved the offerings from Abbott Giftware and I’ve seen them in many stores around town already. Canadiana gifts are the perfect gift for any occasion: a visitor from out of town, a hostess gift, a gift for someone who has everything. 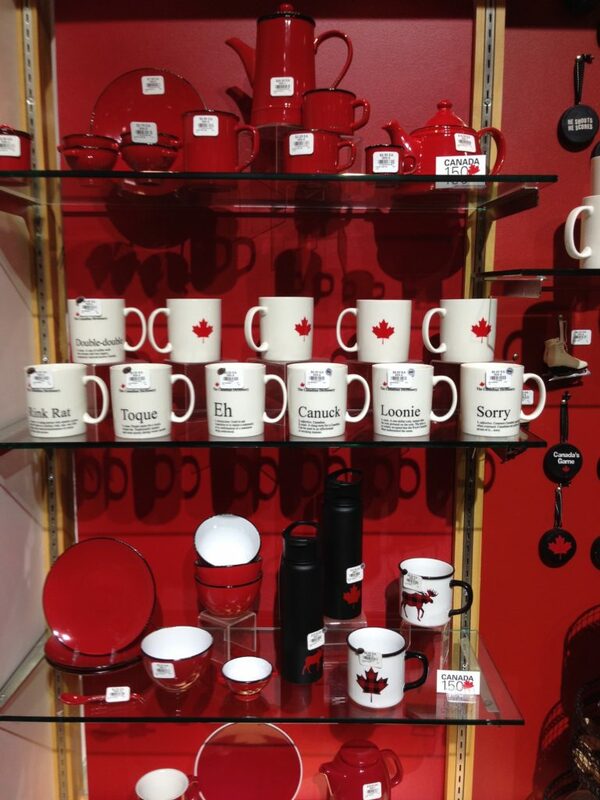 Given Canada’s 150th birthday this year, there’s so much to choose in stores. Although I didn’t see any specific booths around experiences, it’s an important gift category. Experiences, like sky-diving, zip-lining, escape room challenges, musicals, concerts, and paint rooms can be perfect for the active person or sports fan. What about a gift card? I know some people think this isn’t personal enough, but I disagree. I think it’s perfect, because if you know the recipient’s preferred store or pasttime, it will get used! 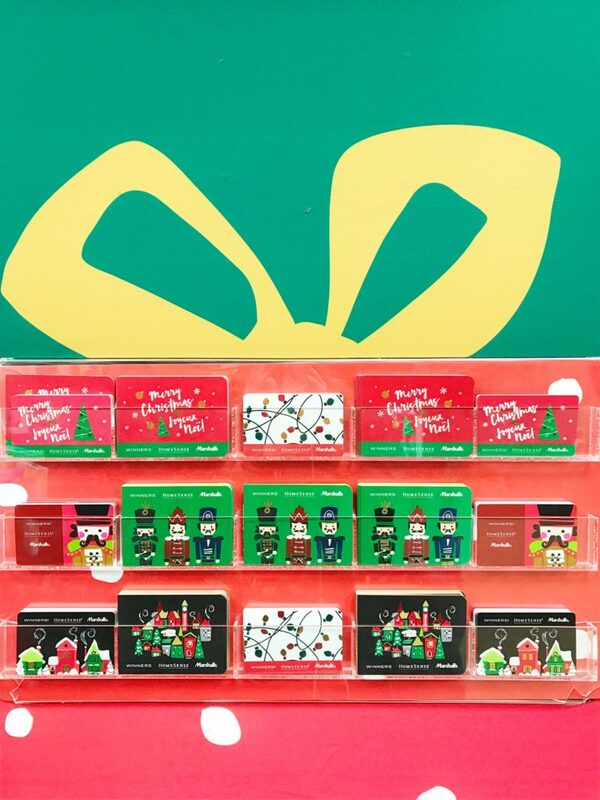 Personally, I love giving movie gift cards as well as restaurant and coffee gift cards. How are you doing so far on your holiday gift list? 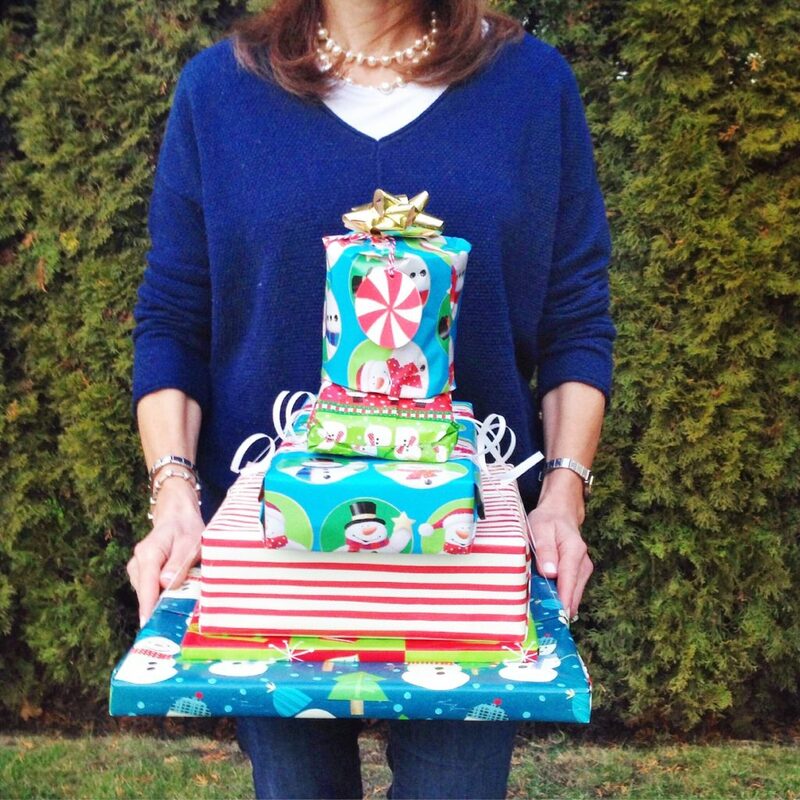 What are some of your favorite gift-giving ideas? What’s been one of your best received gift? 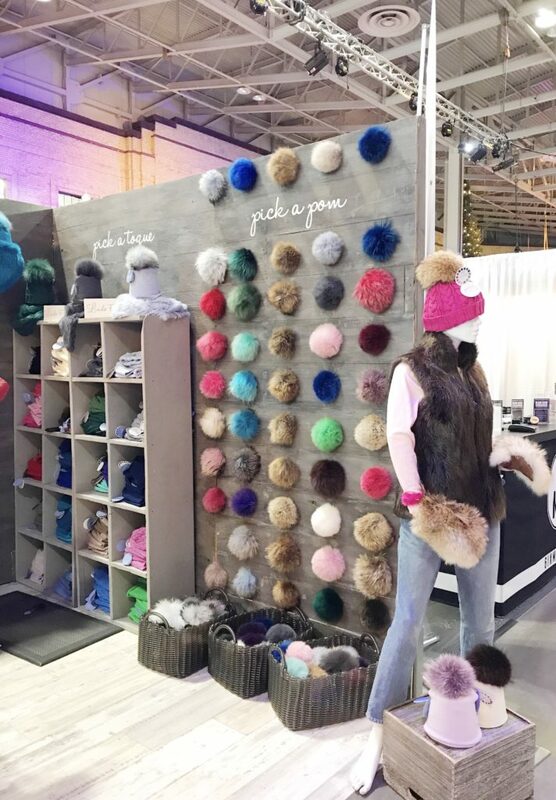 Especially Love Lindo Fur, I have enjoyed their hats and pom poms for the last couple of years.